Got a Twitter account? 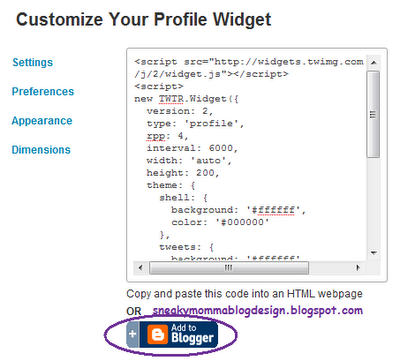 This tutorial will show you how to get the nifty little gadget above for the sidebar of your blog. 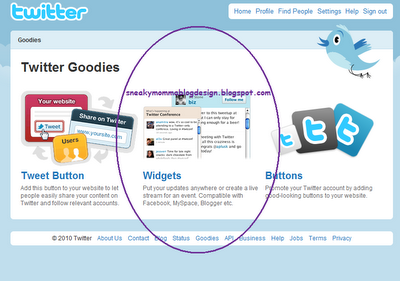 Click on any of the images below to enlarge and open in a new window. 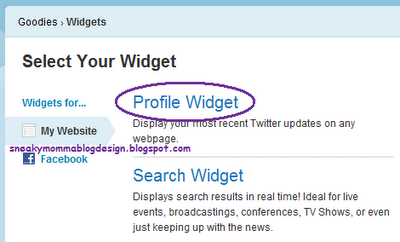 Click on 'test settings' to preview. You may have to come back to this step if the gadget does not fit well. 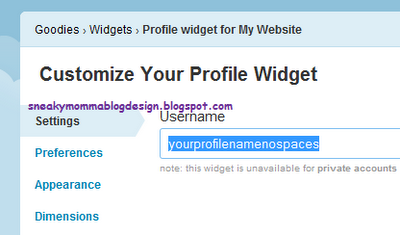 Most sidebars are less than 200px wide, so I would start there first. Make the length as long as you want it. 10. 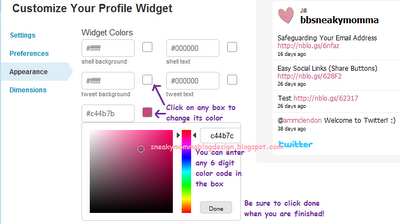 Click on 'test settings' to make sure you're happy with the finished product. If not, go back to steps 7 and 8 and adjust the settings. You will not be able to see the width of the actual gadget in the preview. 11. When you are happy with the gadget, click on 'finish and grab code'. 13. 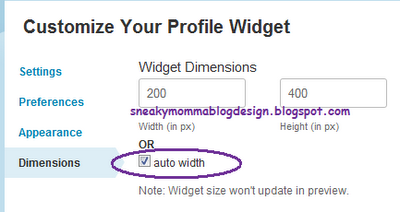 Once it appears, you can add click on 'edit' and add centering tags to center it if you'd like. 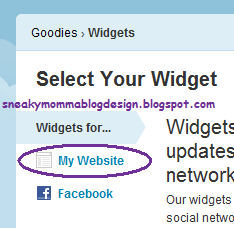 You can drag the gadget to wherever you want it on your Page Elements page. 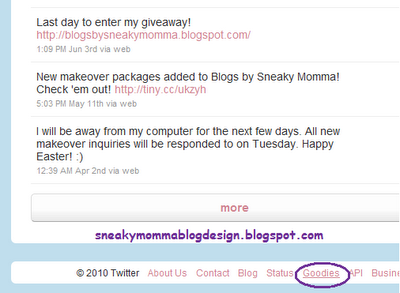 Did you know that I send out tweets every time I publish a new post?